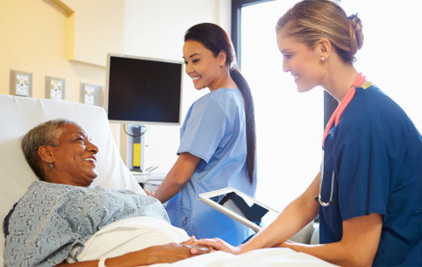 As part of its ongoing battle against medical errors and adverse events, the Office of the National Coordinator has released its Health IT Safety Center Roadmap, putting forth a plan for making IT a better protector of, rather than a risk to, patient safety. While the rapid-fire and widespread adoption of health information technology these past few years has seen impressive advances in electronic ordering, clinical decision support and other quality-enabling tools, according to ONC, "at the same time, safety organizations and researchers, health IT users and other stakeholders have found risks and hazards to patient safety associated with these systems and the complex environments in which they are implemented and used." So ONC has drawn up plans for a national Health IT Safety Center that will home in on two big, interrelated goals: "using health IT to make care safer, and continuously improving the safety of health IT." Doing that depends on the shared responsibility of many different stakeholders, of course. So ONC enlisted RTI International to put together a task force safety experts, patient advocates, clinicians, technology developers and others to help craft a roadmap toward that goal. "Task force members repeatedly stressed the importance of having a trusted space where stakeholders could convene to review evidence and jointly develop solutions to critical health IT safety issues," according to ONC. "This theme – collaborate on solutions, informed by evidence – captures the main focus of the proposed center." The hope is that the new center would help speed the establishment of a "culture of safety" across the industry, and foster "a national learning system that enables health IT and its users to generate better and safer patient care outcomes." This includes work on improved data sharing related to safety events and hazards, better evidence-based reporting on health IT safety and more education on the appropriate and safe use of health IT. "As we focus on making our health care ecosystem interoperable and building a continually improving learning health system, we need to ensure health IT enables safe, high quality care," writes ONC Chief Medical Information Officer Andrew Gettinger, MD, in a July 17 blog post. "We also know that doctors, nurses, and other clinicians that are all part of the care team are frustrated by health IT systems that are not coordinated or optimized to their workflow," he adds. "Many of these systems will benefit from additional usability review, safety enhanced design and feedback from the user community." Read the Health IT Safety Center Roadmap here.